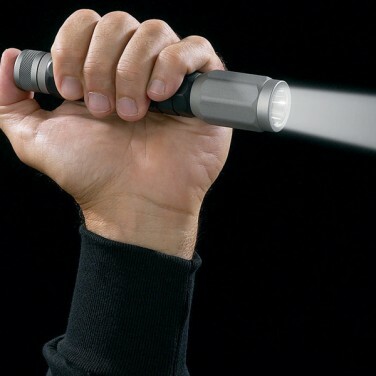 Most flashlights are too flimsy for the rigors of hard use. 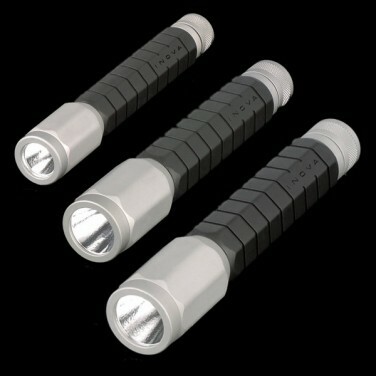 The compact INOVA Bolt flashlight is designed for rough work with aerospace grade aluminium body, water-resistant construction and comfortable non-slip grip. With its patented precision optical system and high powered LED the Bolt projects light that is visible from over a mile away. Non rolling geometry keeps the BOLT right where it is wanted. Ideal for the glove compartment, garage or tool kit. 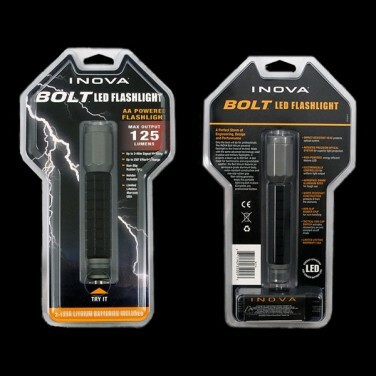 The smallest BOLT torch in the range, this BOLT LED Torch is very bright and runs on AAA batteries, The BOLT 2.0 Watt is ideal for keeping in a pocket, purse or handbag for a handly little light when you need it that won't fail to the eliments. The middle-weight BOLT LED Torch, the BOLT 3.8 Watt runs on AA batteries, the ideal balance of high-power lighting and small form factor, the BOLT 3.8 Watt is perfect for keeping in glove boxes and toolboxes for a torch that gives unwavering high performance when you need it. The heavy-weight of the BOLT Torch range, the BOLT LED 4.6 Watt LED torch packs in performance, superior illumination and sheer strength. Powered by 'C' batteries, this ultr-high-powered LED Torch packs a mighty punch, with signal visibility over 3 miles and the brightest LED light in the range. Ideal for camping and adventuring or whenever you need mximum illumination and power the BOLT 4.6 is a seriously powerful torch for real-world work rest and play.